Every year we celebrate the greatest minds within our alumni community with our Alumni of Distinction Awards. 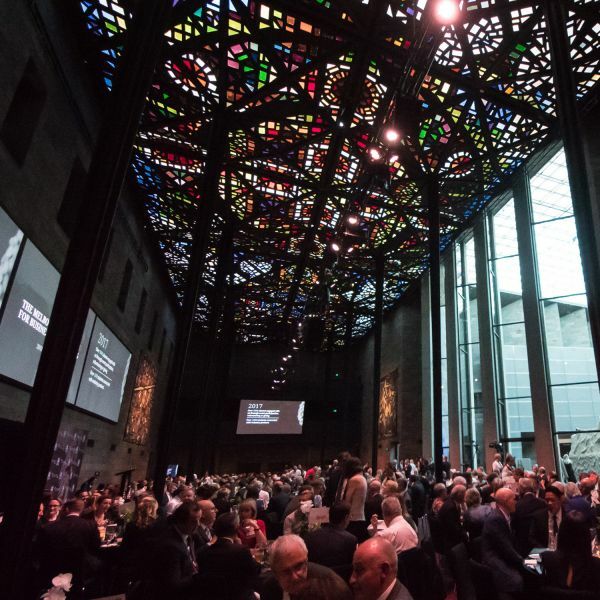 In 2018, four outstanding alumni were celebrated at the annual Melbourne Foundation for Business and Economics Annual Dinner at the National Gallery of Victoria. 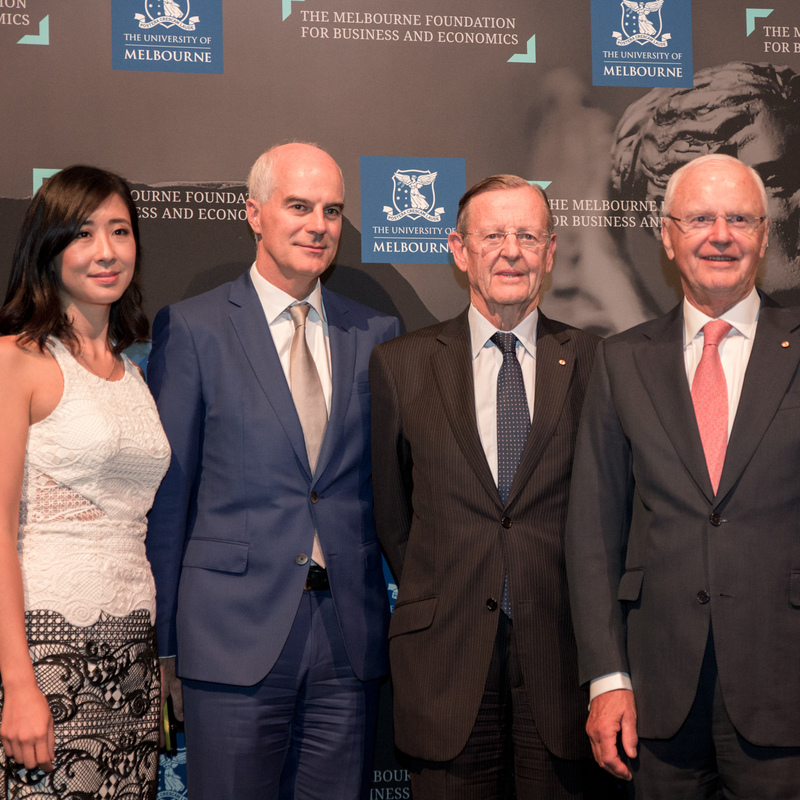 The Hon Alex Chernov has made an extraordinary contribution to society throughout his life. Governor of Victoria from 2011 to 2015, Chancellor of the University of Melbourne from 2009 to 2013, a Justice of the Court of Appeal and former President of the Victorian Bar and the Law Council of Australia, Alex has worked tirelessly to benefit the legal and education sectors in Australia. Alex and his wife are patrons of more than 160 not-for-profit organisations, including Families in Crisis, St Vincent de Paul Society, Girl Guides Victoria and Keep Australia Beautiful Victoria. Alex is the current Chair of the Grattan Institute and conducts local and international alternative dispute resolutions. Alex is also on the board of the Potter Foundation. You have such a distinguished career, what is your proudest achievement to date? In terms of my career, probably my proudest achievement was being appointed to the Court of Appeal where I sat with other judges for whom I had the highest regard. In a sense, it was the apex of my legal journey. What motivated you to contribute to the University of Melbourne? I was pretty rudderless when I came to the University; it helped me find my feet and gave me focus. So, I enjoyed the opportunity to give back, as so many others have done, and derived personal satisfaction from doing so. Probably my biggest challenge was articulating judgements in terms that would ensure that the losing party understood why it lost the appeal. 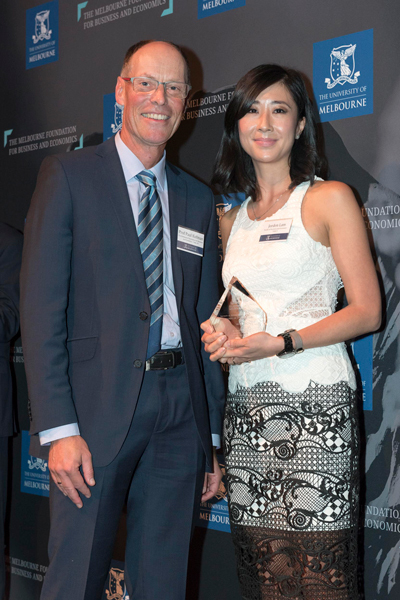 Jorden Lam is passionate about leading social change and contributing to the Australian healthcare sector. As Company Secretary and General Counsel at HESTA, Jorden leads the fund’s internal legal function and advises the board of directors on legal issues and corporate governance. She contributes to HESTA’s public policy positions and submissions to parliament, and is passionate about closing the gender gap in retirement savings. How does it feel to be the 2018 Rising Star for Young Alumni? It feels both humbling and encouraging: humbling to be recognised for my achievements amongst many other alumni who are all equally out in communities and industries doing incredible things; and it’s encouraging to have this award validate the things I am pouring my time and effort into. Being in the position I am in now, where I have such a diversity of responsibilities across different organisations. I am very fortunate to be able to have the leadership roles I am in right now which has been a product of both luck and my own capability. If you could give one piece of advice to new BCom graduates, what would it be? Can I give two pieces that I think are vital?! At this point when you’re about to start your career, you just need to say ‘yes’, to everything - because everything you say yes to is a learning opportunity. Be a sponge and greedily soak up as much information as you can. Be curious and open-minded. The second piece of advice is to remember to open doors for others as you progress – you will meet people in your career who support you or play a significant role in your success, so it is important that you do the same to build other future leaders. 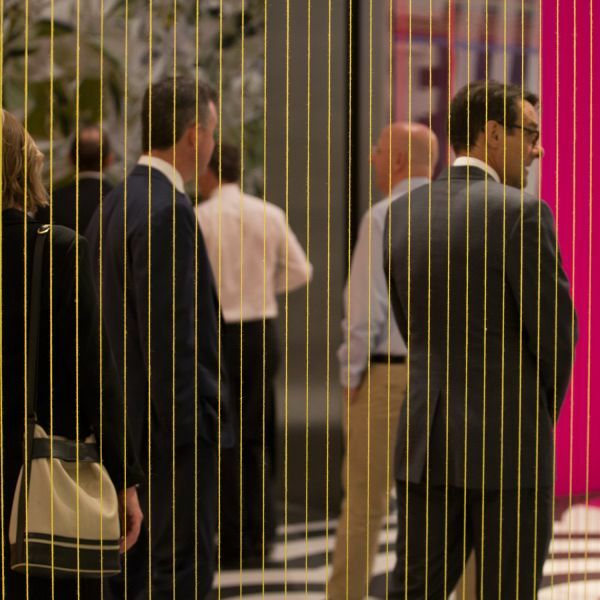 Craig Drummond is the Chief Executive Officer of Medibank Private and has more than 30 years’ experience in the financial sector. He’s held top positions at National Australia Bank (NAB), Bank of America Merrill Lynch and Goldman Sachs. Craig began his career in accounting, made it to the top of his field in investment banking, then transitioned to a retail bank before moving to the medical industry. 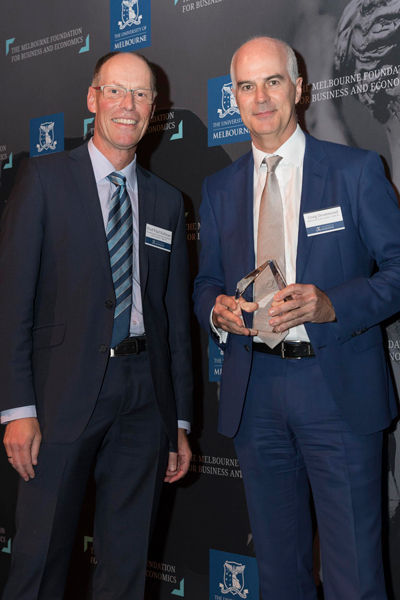 He is a Senior Fellow of the Financial Services Institute of Australasia and a Chartered Accountant, as well as being a Director of The Florey Institute of Neuroscience and Mental Health and the Geelong Football Club. How has your commerce degree helped shape your career to date? 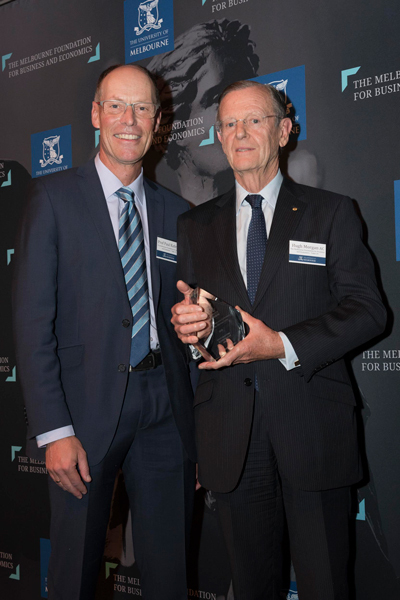 Commerce at the University of Melbourne provided the bedrock for my career. The BCom heightened my curiosity and my interest in analytics and detail. 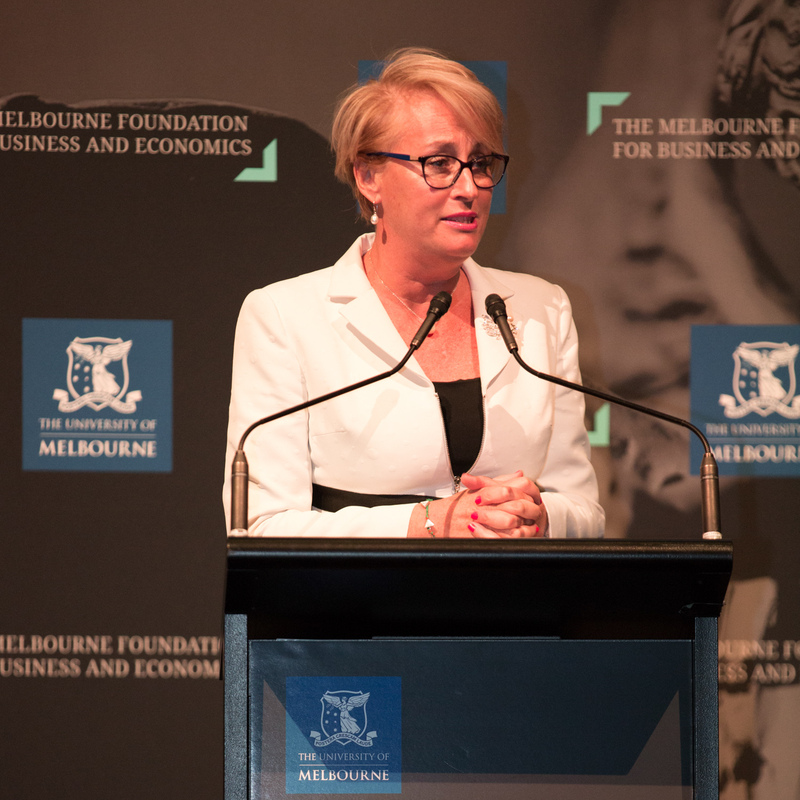 What has been your biggest challenge so far as managing director and CEO of Medibank? The biggest challenge so far in my time at Medibank was a significant IT failure on day one. We got through this, and indeed, it made us stronger. My career highlight was the multibillion-dollar balance sheet clean-up at NAB over a two-and-a-half-year period, involving half a dozen public and non-public transactions. 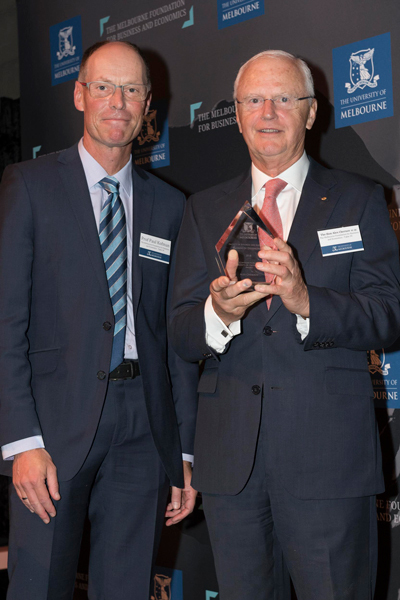 Hugh Morgan is Principal of superannuation company First Charnock Pty Ltd. and Chairman of the Order of Australia Association Foundation. 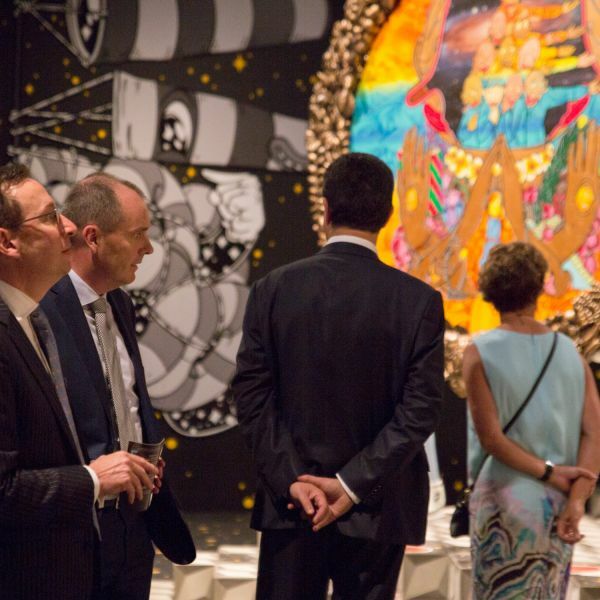 He is Trustee Emeritus of The Asia Society New York, Patron of Creativity Australia and The Song Room, Chairman of the JNF Environmental Scholarship Fund and President of the National Gallery of Victoria Foundation. 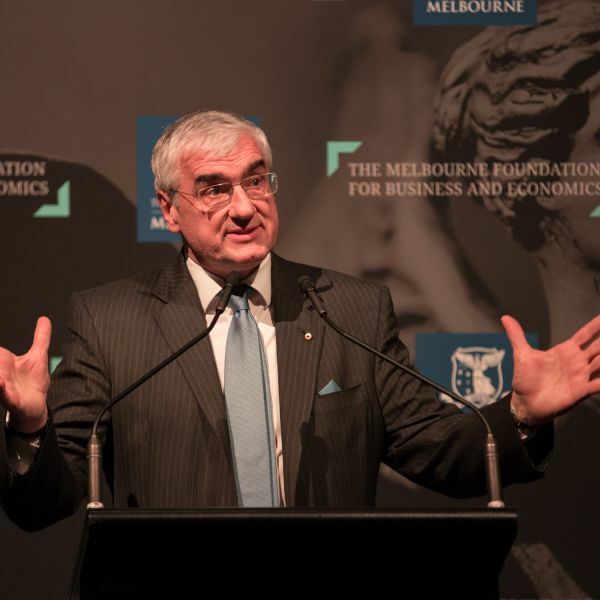 He was a director of the Board of the Reserve Bank of Australia for 14 years and from 2003 to 2005 was president of the Business Council of Australia. He is a past executive committee member of the World Business Council for Sustainable Development and a past co-chair of the Commonwealth Business Council and continuing director emeritus. How has your life been impacted by your Bachelor of Commerce? Little did I understand what would transpire in the 54 years after I graduated, but undoubtedly these years were guided by my time with the Business and Economics Faculty. How did it feel to win the Outstanding Achievement Award? Being notified of the Outstanding Achievement Award came out of the blue and hence a great surprise. Any other thoughts on your award and the Faculty of Business and Economics (FBE)? 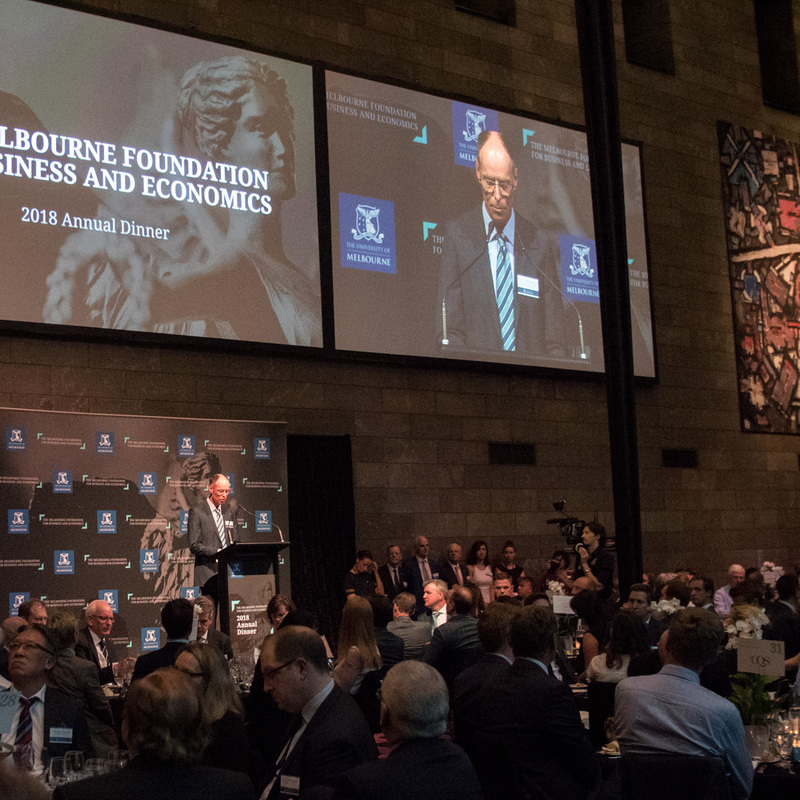 Thank you to everyone who made the 2018 Melbourne Foundation for Business and Economics Annual Dinner the best yet. 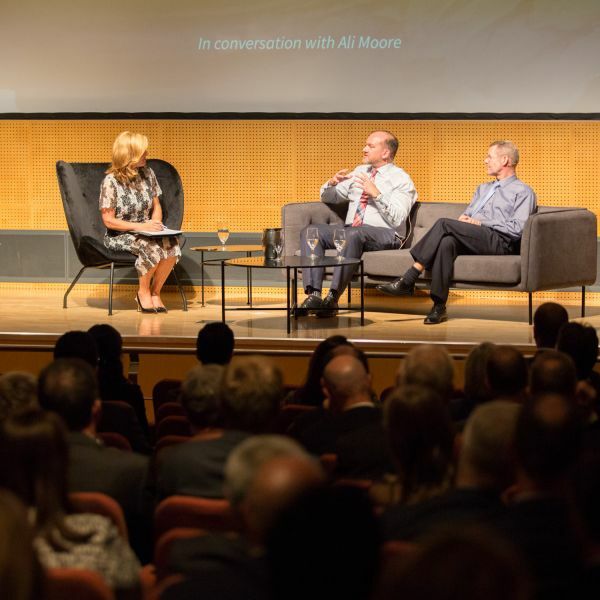 It was a fantastic evening featuring a pre-dinner panel session on two major faculty projects, 1,000 Indigenous Business Leaders and Brain, Mind and Markets, as well as stories of current and past students and a keynote address by Sir Michael Hintze AM, founder, chief executive and senior investment officer of CQS.